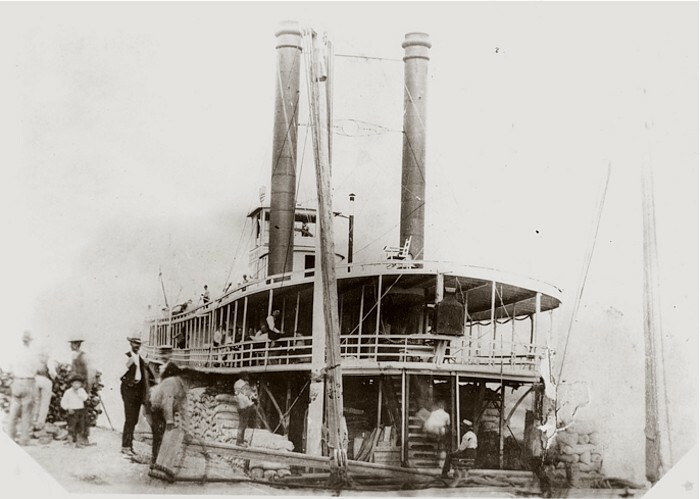 Two major players in early-day Montana shipping and trading were T. C. Power and I. G. Baker, both operating out of Fort Benton, the head of navigation on the Missouri River. 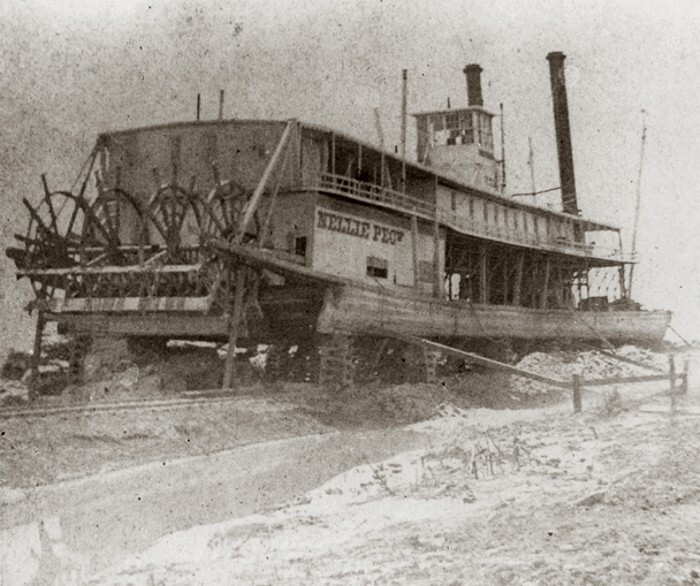 The Steamboat Helena of the "Block P" T. C. Power Line, circa 1885. Note the "Block P" trademark between the stacks. 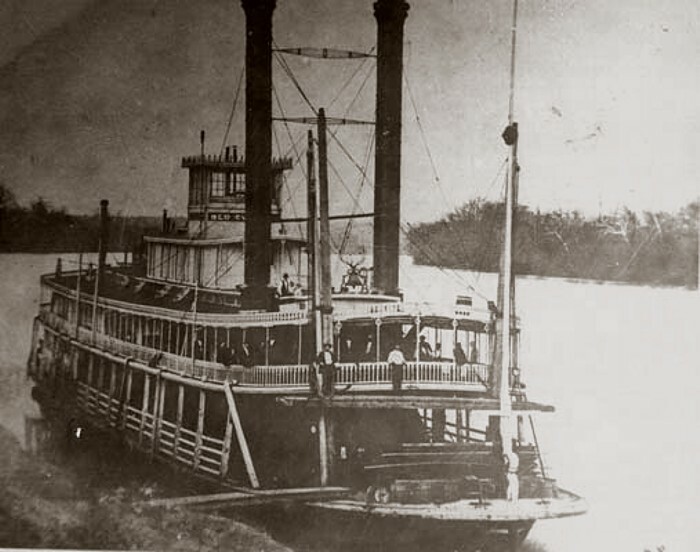 The steamboat Helena, a sternwheel packet with a wood hull, was built in California, Pennsylvania in 1878. In 10 years she made over 50 trips to Montana points under many masters associated with the Power Line. She was sold in 1887 to A.S. Bryan and others, Washington, Missouri. The Helena was snagged and destroyed at Bonhomme Island, Missouri, Oct. 23, 1891. 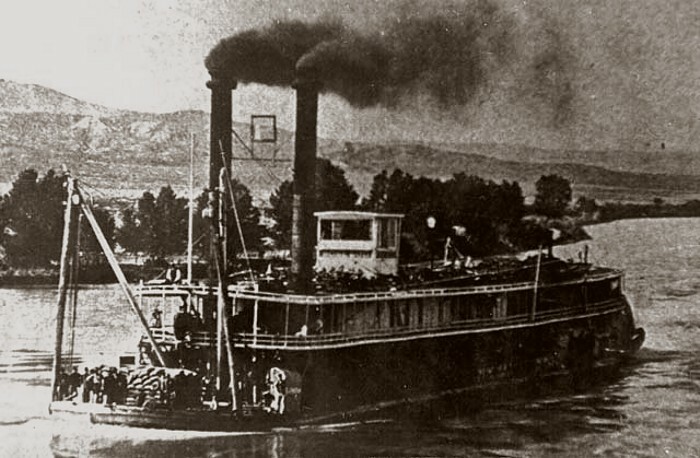 The "Helena" was one of several steamers operated by Power, who was initially based in Fort Benton before moving to Helena in 1873. A native of Iowa with a degree in engineering, Power first came to Montana in the early 1860s as part of a surveying party. 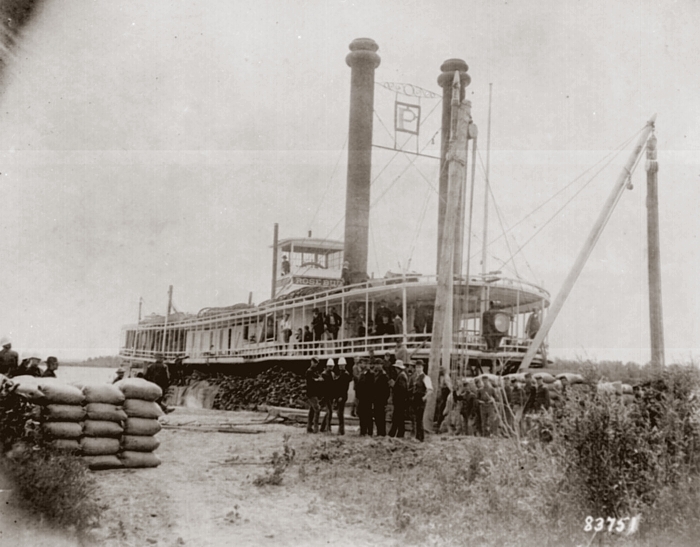 When he arrived at Fort Benton (the head of navigation on the Missouri), he saw the potential for trade, and eventually opened a general merchandise store there. Power's interests quickly grew. In addition to building and operating trade steamers on the Missouri, he established a stagecoach line between Helena and Fort Benton in 1879. His interests diversified into banking, livestock and illegally trading whiskey to Indians. In 1890, along with Wilbur F. Sanders, Power became one of the first Senators from the State of Montana. His Power Block, Diamond Block , and Steamboat Block still stand in Helena. 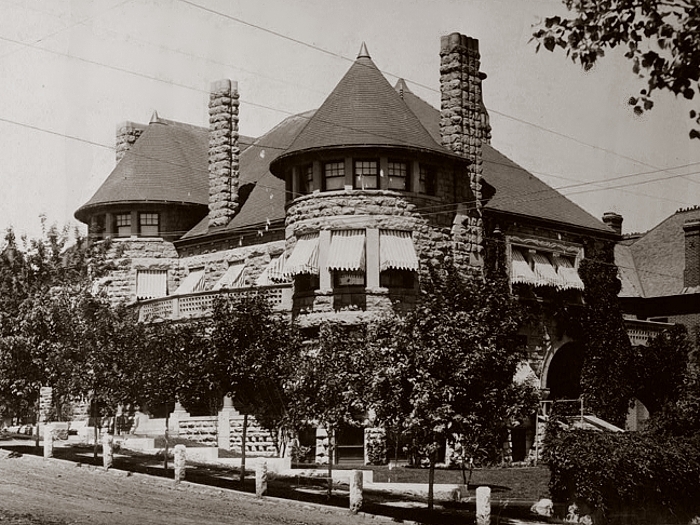 T. C. Power Mansion, Corner of Harrison Ave. and Power St. 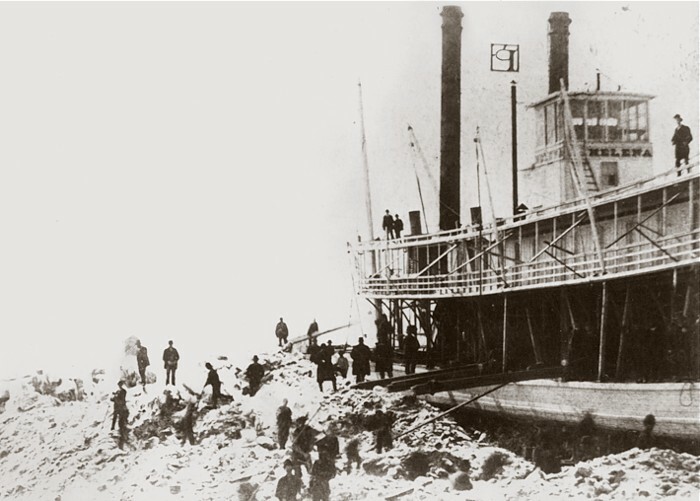 The "Helena" loaded with Sioux Indians enroute home to Standing Rock Agency after the Sioux War . 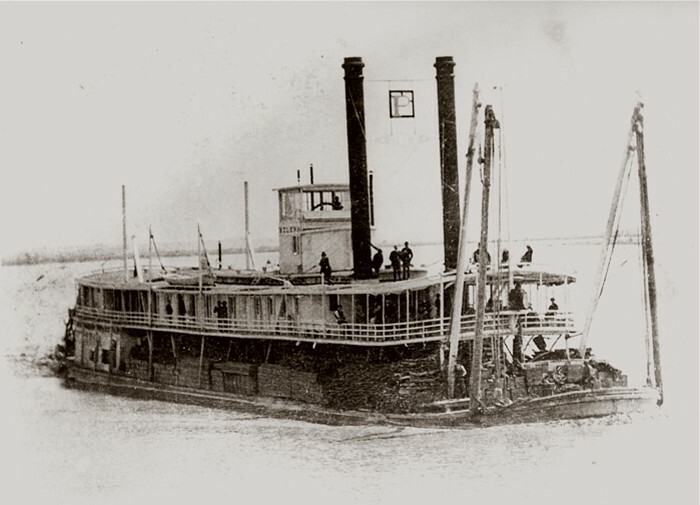 The swift and popular steamer Red Cloud was built in 1873 at the Evansville and Tennessee River Packet Company in Jeffersonville, Indiana. 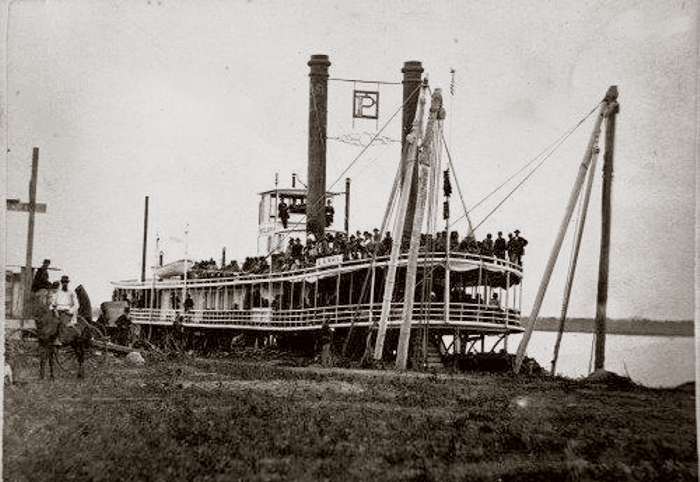 It was acquired by I. G. Baker in 1877, and made its first trip to Fort Benton that year. On July 11, 1882, the Red Cloud struck a snag 200 miles downstream from Fort Benton, and sank in three minutes. All passengers were saved, but the freight was a total loss. The wreck lies buried in the earth under more than 100 feet of Fort Peck Dam water. Thirteen days after leaving Bismarck, the Red Cloud churned its way up to the landing at Fort Benton and [George Miller] was treated to his first sight of real rough stuff. The mate of the boat, a man named Star, took his station at the gangway to see that the disembarking took place without accident. It was the rule that all passengers should be ashore from the up trip before the boat received visitors or passengers from land. A man approached the shore end of the gangway and started to come aboard, but had not gone far before the mate ordered him back. The response was a short laugh as he continued up the gangway, and faced the mate. Without a word, the mate drew a revolver from his pocket and fired it point blank in the man's face, shattering his jaw. The wounded man was taken ashore and given medical aid and, although he recovered, his lower jaw was always distorted. His name, or rather, his nickname, was "Happy" Oakly. The Nellie Peck was named after the daughter of Campbell Kennedy Peck. Fort Peck, Montana, was named for C. K. Peck. Fort Peck was established as a fur trading post by Abel Farwell for Durfee & Peck in 1866-67. From 1873 until 1879 the government used a portion of the fort as the Fort Peck Indian Agency. The site of Fort Peck was abandoned in 1879, and now is under the waters of Fort Peck Reservoir near Poplar.